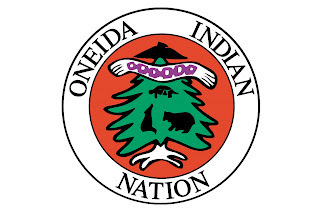 231 years ago, the Oneida Indian Nation became the first ally of the American colonists in their fight for freedom, at the Battle of Oriskany. On Wednesday, August 6, at 7 pm, a solemn remembrance ceremony will be held at the battlefield to remember those who fought and those who died at what history has called the ”bloodiest battle of the American Revolution.” The Oneidas will be represented at this community-wide event by Brian Patterson, Bear Clan Representative for the Nation’s Council, and members of the Nation’s reenactment group, First Allies. During his march down the Mohawk Valley from Oswego to Albany, Lieutenant Colonel Barry St. Leger besieged Fort Stanwix, then under the command of Colonel Peter Gansevoort. St. Leger’s force of British regulars of the Royal Artillery, 8th and 34th Regiments, loyalist King’s Royal Yorkers and natives of the Six Nations and Seven Nations of Canada laid siege to the fort. Upon hearing reports of St. Leger’s advance, Brigadier General Nicholas Herkimer assembled the Tryon County militia at Fort Dayton to proceed to Gansevoort’s aid. On August 4, 1777, Herkimer, with 800 militiamen—mostly poorly trained German-American farmers—and 40 Oneida Indians, began the forty-mile (65 km) trek west from Fort Dayton to Fort Stanwix. When St. Leger learned through Molly Brant that Herkimer and his relief expedition were on their way, he sent Joseph Brant, a Mohawk chief, with more than 400 natives, and Sir John Johnson, with the light infantry company of his King’s Royal Yorkers to intercept them. Their clash at Oriskany Creek was one of the key episodes of the Campaign of 1777. 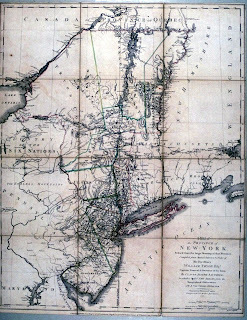 On August 6, 1777, [the] American relief force from the Mohawk Valley under General Nicholas Herkimer, numbering around 800 men of the Tryon County militia, was approaching to raise the siege. British commander Barry St. Leger authorized an intercept force consisting of a Hanau Jager detachment, Sir John Johnson’s King’s Royal Regiment of New York, Native allies from the Six Nations, and Indian Department Rangers totaling at least 450 men. The Loyalist and Native force ambushed Herkimer’s force in a small valley about six miles east of Fort Stanwix. During the battle, Herkimer was mortally wounded. The battle cost the Patriots approximately 450 casualties, while the Loyalists and Natives lost approximately 150 dead and wounded. It was a clear victory for the loyalists over the rebels. But the Loyalist victory was tarnished when a sortie from Fort Stanwix sacked the Crown camp, spoiling morale among the Native Americans. The Oriskany Battlefield is located on Route 69, two miles west of the Village of Oriskany. Fort Ticonderoga President Peter S. Paine Jr. has suggested in a memo forwarded to the Plattsburgh Press Republican that the historic site (a veteran of the French and Indian and American Revolutionary wars as well as the War of 1812) has seven options to avoid permanent closure, none of them good. His options include applying for new short-term loans (perhaps from the Essex County Industrial Development Agency), banking on a new capital campaign to raise $3 million to $5 million (Paine had said the Fort needed 2.5 million), asking the state for a bailout or to take over ownership of the fort, selling some of the fort’s property or collections (it holds paintings worth millions, including Thomas Cole’s 1831 “Ruins of Fort Ticonderoga,” but its ownership is in dispute) or closing for an indefinite period until the finances are sorted out. Paine’s proposals come after a year of chaos at the fort began when Deborah Mars, a Ticonderoga native married to the billionaire co-owner of the Mars candy company Forrest Mars Jr., bailed on their long-time support for the fort just before completion of the new $23 million Deborah Clarke Mars Education Center. The Mars paid for nearly all of the new building’s construction but left before it was finished leaving Fort Ti about a million dollars in debt. When the building bearing their name opened this month, they didn’t show. Mr. Mars said disagreements with fort’s Executive Director Nicholas Westbrook were the reason why. Paine replaced Deborah Mars as the fort’s president. Nonprofit organizations dedicated to preserving, maintaining, and interpreting their historic properties own all or portions of 100 Principal Sites [identified by the report]. Ownership of four Principal Sites is unknown currently. Private owners still control most of the Principal Sites, especially the battlefields and associated properties made up of large land areas. Privately owned sites or portions of sites are without any known form of enforceable legal protection. Many private owners maintain and care for their historic properties, but without legally mandated protection, the properties could be damaged or destroyed at any time. Fort Ticonderoga had already been identified in the report as a Priority I (“these sites need immediate preservation or may be lost by 2017”) facing a “medium” level of threat. The threat is real for the already economically depressed Adirondack region of New York State, and the locals are restless. The fort located at the north-south choke-point between Lake George and Lake Champlain was ordered built by French Governor-General Vaudreuil (the French Governor of Canada) as the southernmost fort of the French Empire in the New World as a bulwark in anticipation of attacks on Fort St. Frederic and the French settlements at today’s Crown Point, New York (currently being excavated) and Chimney Point, Vermont. Named Fort Carillon, it was built by soldiers and settlers in 1755-56. The following year French General Montcalm used Carillon as a base to attack British Fort William Henry at the southern end of Lake George. In 1758, British General Abercromby led an overwhelming British and Colonial Army in a attack on the fort that ended disastrously. American colonial forces under Benedict Arnold and Ethan Allen took the poorly manned fort in the opening engagements of the American Revolution without a fight in 1775. 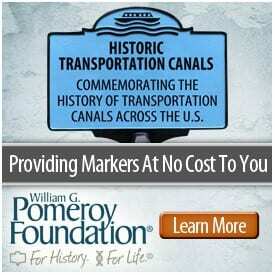 It was retaken by Gentleman Johnny Burgoyne in 1777. Native Americans from the Algonquin, French Mohawk, Huron, and Nippissings are among those associated with the history of the fort. 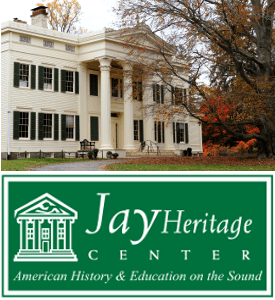 It is considered one of America’s oldest heritage tourism sites with tourists arriving in numbers in the 1830s (by way of comparison, the Hasbrouck House, George Washington’s headquarters at Newburgh, NY, became the first historic house museum in the United States in 1850). In 1783, George Washington visited the Fort with New York’s Governor Clinton. Following the Revolution New York State granted the Fort and its surrounding grounds to Columbia and Union Colleges. In 1791 future presidents Thomas Jefferson and James Madison both visited the fort. William Ferris Pell purchased 546 acres containing the ruined fort in 1820, but it wasn’t opened to the public until 1908. The non-profit Fort Ticonderoga Association took control in the 1930s and members of the Pell family formally loaned many of the paintings and artifacts to the fort in the 1940s. Mount Independence, the high ground on the Vermont side of Lake Champlain where many colonial troops were encamped during occupation of the fort is under the care of the Vermont Division for Historic Preservation. The ruins at nearby Crown Point are a New York State Historic Site. This post also appeared at Adirondack Almanack, the premiere blog of the culture, politics, history, and environment of the Adirondacks. 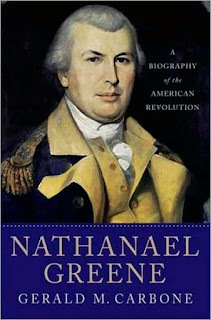 Nathanael Greene – the seemingly forgotten (yet most successful) American general of the American Revolution, is the subject of a new biography by Rhode Island journalist Gerald Carbone. Despite his huge military successes and tactical genius Greene’s story has a dark side. Gerald Carbone drew on 25 years of reporting and researching experience to create his chronicle of Greene’s unlikely rise to success and his fall into debt and anonymity. Greene’s Southern Campaign showed remarkable strategic features. He excelled in dividing, eluding and tiring his opponent by long marches, and in actual conflict forcing the British to pay heavily for a temporary advantage; a price that they could not afford. He was greatly assisted by able subordinates, including the Polish engineer, Tadeusz Kościuszko (recently of the Mohawk River Bridge), the brilliant cavalry officers, Henry (“Light-Horse Harry”) Lee and William Washington, and the partisan leaders, Thomas Sumter, Andrew Pickens, Elijah Clarke, and Francis Marion. Greene gave us Greene County, actually fourteen of them, stretching as far west as Iowa and including our own Greene County, NY. His most popular victories came in the South, and combined with a New York tendency toward Knox, Gates, and Putnam and Greene settling in the South after the war, New Yorkers have pretty much forgotten him – how many remember that “e” at the end of Greene? Greene commanded the rebel city of Boston after it was evacuated by Howe in March 1776 but then spent a lot of time in New York during the war. He was in command of the Continental Army troops on Long Island, and commanded the construction of Fort Putnam (now Fort Greene Park, Brooklyn’s first). He was sick during the Battle of Long Island, and made the controversial argument to evacuate New York City and destroy it’s usefulness with the torch. It will be interesting to see what Carbone’s new biography says about that. In New Jersey, he commanded Fort Lee and Fort Washington, commanded at the battles of Trenton, Brandywine (Greene commanded the reserve), and Germantown. He became Quartermaster General in 1778 at Valley Forge (another particularly interesting point worthy of a book in itself), and led the right wing of the army at Monmouth that Spring. In August, Greene (with Lafayette) commanded the Battle of Rhode Island and led at the Battle of Springfield. He also battled with Congress over how to fund the war, and commanded West Point. In 1780 he presided over the court that sentenced Major John André to death. Then he was asked to command the South. Revolutionary War Records at the National Archives, a talk by Jean Nudd, Archivist, NARA, Northeast Region, Pittsfield, MA, will be held on Saturday, June 28, 2008, at 2:00 p.m. at the Schenectady County Historical Society, 32 Washington Avenue, Schenectady, NY. The talk by Jean Nudd is free and open to the public. The library at the Historical Society will be open without charge to researchers from 10:00 a.m. to 2:00 p.m. Refreshments will be served at 1:30 p.m. The Schenectady County Historical Society is wheelchair accessible. For more information contact Katherine Chansky at (518) 374-0263 or via email at librarian AT schist DOT org. 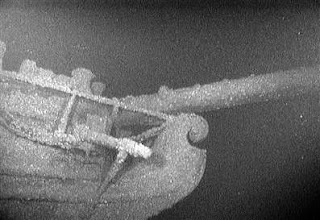 Big news last week with the discovery of the “practically intact” HMS Ontario in nearly 500 feet waters of Lake Ontario. The Revolution War era 80-foot British sloop of war went down during gale in 1780 with a compliment of Canadian crew, British Soldiers, and possibly American POWs. It’s considered one of the earliest discovered shipwrecks in America. New York is also home to the a 1758 Land Tortoise fully intact in Lake George’s south basin. The finders of the wreck said they regard it as a war grave and have no plans to raise it or remove any of its artifacts. They said the ship is still considered the property of the British Admiralty. The Ontario went down on Oct. 31, 1780, with a garrison of 60 British soldiers, a crew of about 40, mostly Canadians, and possibly about 30 American war prisoners. The warship had been launched only five months earlier and was used to ferry troops and supplies along upstate New York’s frontier. Although it was the biggest British ship on the Great Lakes at the time, it never saw battle, Smith said. After the ship disappeared, the British conducted a sweeping search but tried to keep the sinking secret from Gen. George Washington’s troops because of the blow to the British defenses. Hatchway gratings, the binnacle, compasses and several hats and blankets drifted ashore the next day. A few days later the ship’s sails were found adrift in the lake. In 1781, six bodies from the Ontario were found near Wilson, N.Y. For the next two centuries, there were no other traces of the ship. Mrs. Mecomber over at New York Traveler offers an interesting post on the Skenandoah Boulder, a monument to Oneida Chief Skenandoah. Her site includes lots of photos of the memorial, some research she conducted and a link to her trip to Skenandoah’s grave site at Hamilton College cemetery in Clinton, Oneida County. In 1766, Samuel Kirkland, an American missionary, began living with the Oneida. He adopted many of their customs, but at the same time preached Christian ways. He was largely responsible for persuading the Oneida to abandon their neutral stance and support the Americans. Skenandoah, who was a close personal friend to Samuel Kirkland, began sending some warriors to help the Americans. When George Washington’s men were starving at Valley Forge, Skenandoah sent baskets of corn. Skenandoah also informed residents of German Flats, New York, that Joseph Brant and the British Loyalists were going to raid their town. The settlers were able to save themselves, but lost all their property and possessions. In recognition of Skenandoah’s invaluable support, George Washington named the Shenandoah Valley after him. Following the American Revolution, Skenandoah remained the principal chief of the Oneida. In 1816, Skenandoah died. Per his request, he was buried next to Samuel Kirkland at Hamilton College cemetery in Clinton, New York. This marks the site of the last home of SKENANDOAH Chief of the Oneidas, “The White Man’s Friend.” Here he entertained Governor DeWitt Clinton 1810, and many other distinguished guests, and here he died in 1816 aged 110. He was carried on the shoulders of his faithful Indians to his burial in the cemetery of Hamilton College, Clinton, NY, and laid to rest beside his beloved friend and faithful teacher Rev. Samuel Kirkland. “I am an aged hemlock; the winds of an hundred winters have whistled through my branches . I am dead at the top. The generation to which I belonged have run away and left me.” Skenandoah.